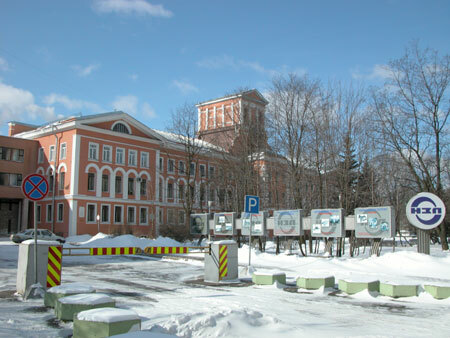 Today we are going to walk along the small part of Obukhovsky Oborony Prospekt. Was a property of Nevsky Factory, which we come to later in this stroll. Built in 1968-72. 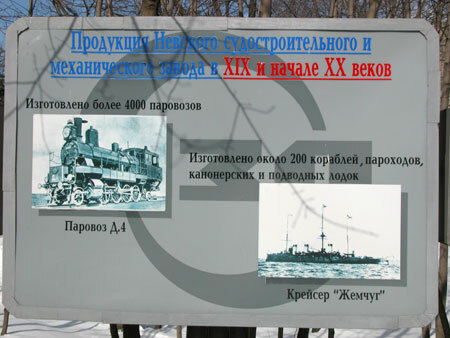 Design by E.A.Levinson, B.A.Grigoriev, J.I.Zemtsov, I.V.Raylyan, A.S.Pitlyuk (civil engineer). 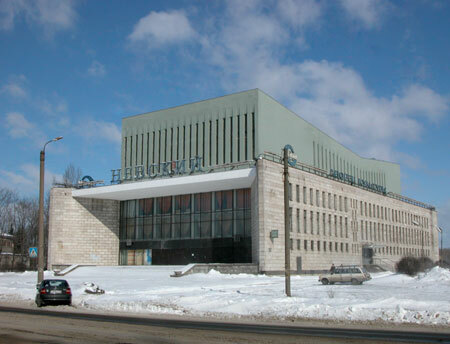 Looks very similar to the Concert Hall "Oktyabrsky" on Ligovsky Prospekt. Check your orientation: Neva is behind it. As you can see, it was recently renovated and territory around it remodeled. couldn't resist the temptation to take pictures of them). 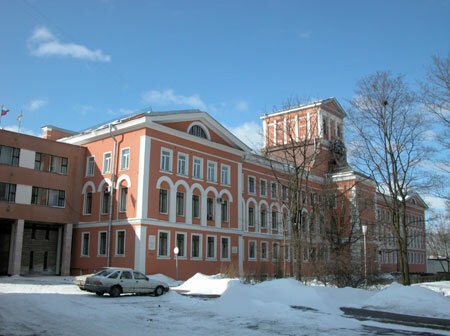 The building itself is the industrial architecture relic: built in 1863-64 by design of R.R.Henrihsen. 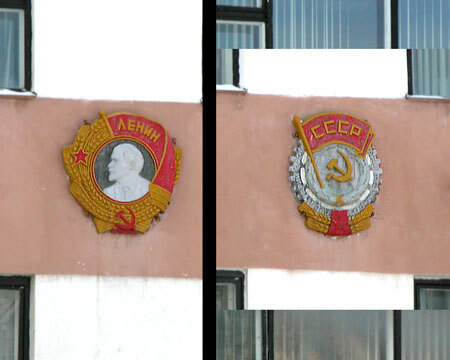 Order of Lenin and the Order of Red Banner of Labor. 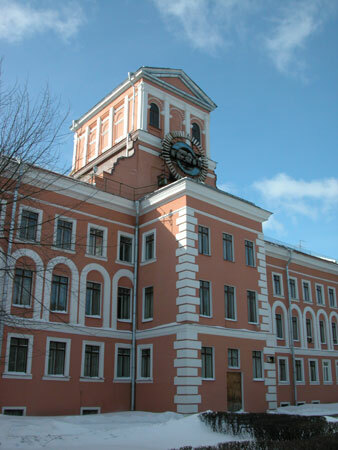 1857 - "Nevsky Metalworks, Mechanical and Shipbuilding Factory" is founded. 1865 - first ship for Navy is built: battleship "Kremlin"
1870 - first steam locomotive is built here and regarded as best in Russia. 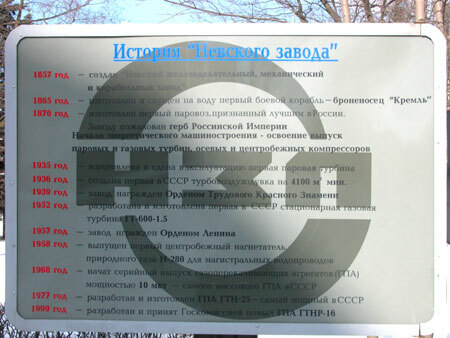 The Factory is recognized with Russian Empire' Coat of Arms. 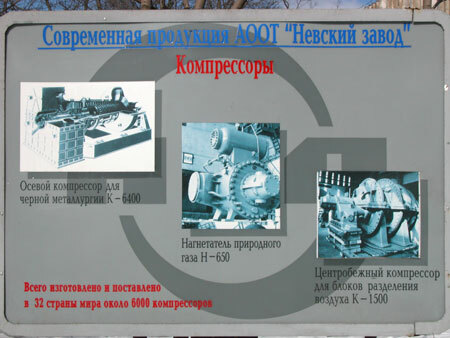 The beginning of power equipment production: steam and gas-pumping turbines, axial-flow and centrifugal compressors. 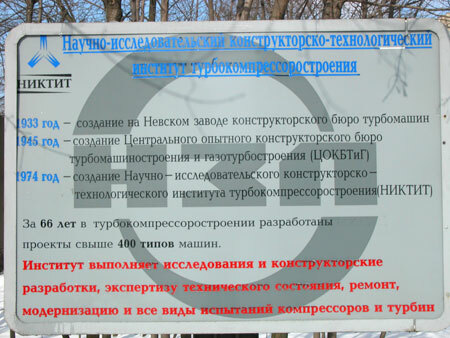 1999 - new GTNR-16 is developed and accepted by State Commission. Almost 200 ships, boats and submarines are built. Cruiser "Pearl". 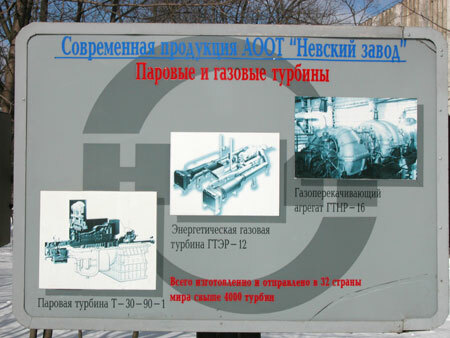 NIKTIT - Institute for Research and Technology for Turbine-compressor Machinery. In 66 years more than 400 models of machines were designed here. Institute does R&D, inspection, repaire, upgrade and all types of testing for compressors and turbines. 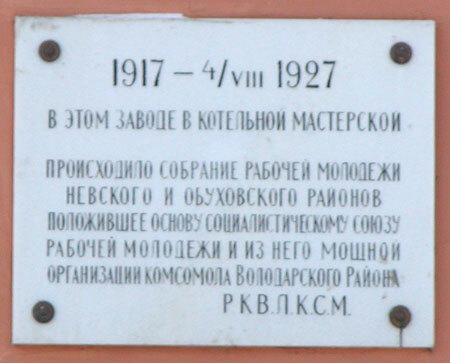 "1917 - Aug 4, 1927. 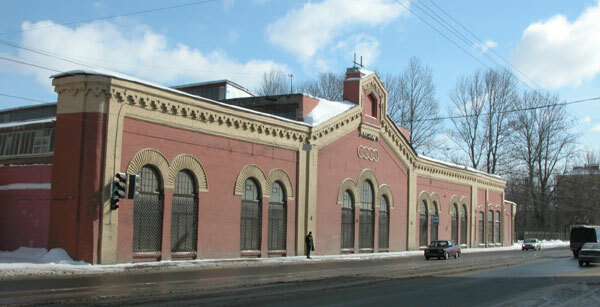 At this factory, in boiler workshop, took place the meeting of proletarian youth of Nevsky and Obukhovo areas. It became the foundation for Socialist Union of Young Workmen, and from it the strong Communist Youth Organization of Volodarsky district." ardent Bolshevik, prominent leader of Communist Party, and close apprentice of Lenin"
Next building is rolling-mill workshop for Semyannikovsky factory. 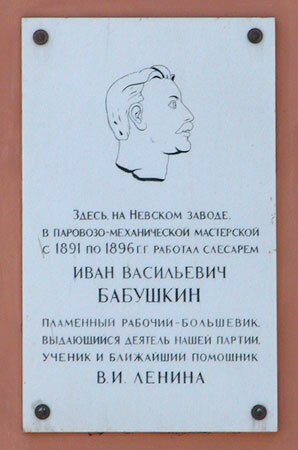 General Semyannikov was one of the Nevsky Factory founders, too. 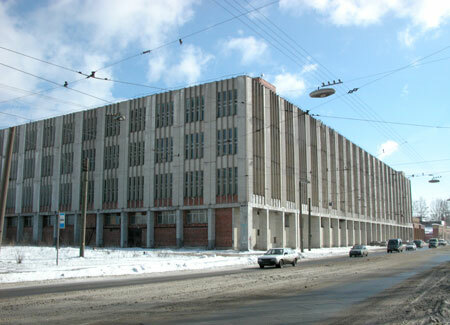 And architect is the same as for Nevsky Factory: Roman Romanovich von Henrihsen. 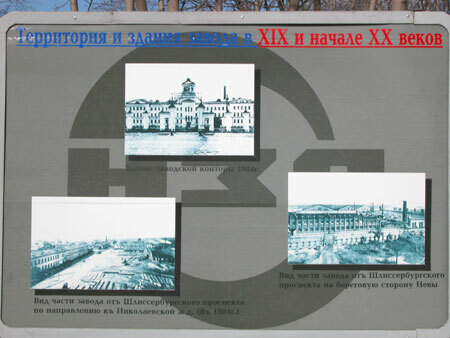 Construction is done in 1863-64. Beside that I can offer you three new photoalbums from our guest Vladislav Sorokin. They are about his trip to Pskov.